Graphic Gray Twin XL bedding will add to your college decor! 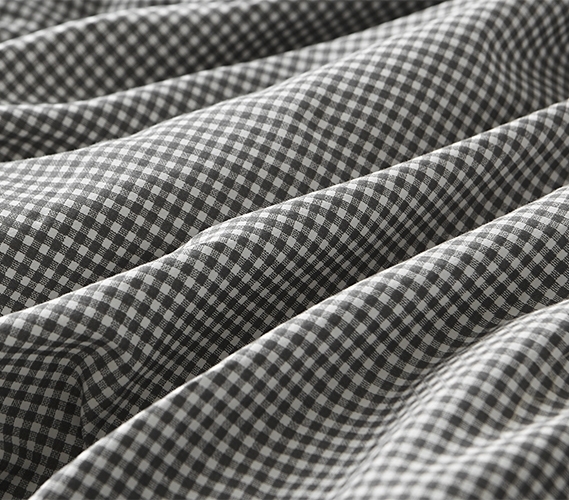 Looking for Gingham Gray Cotton Comforter in size Queen or King? If you want to make it easy to decorate your dorm room, choose gray Twin XL bedding. 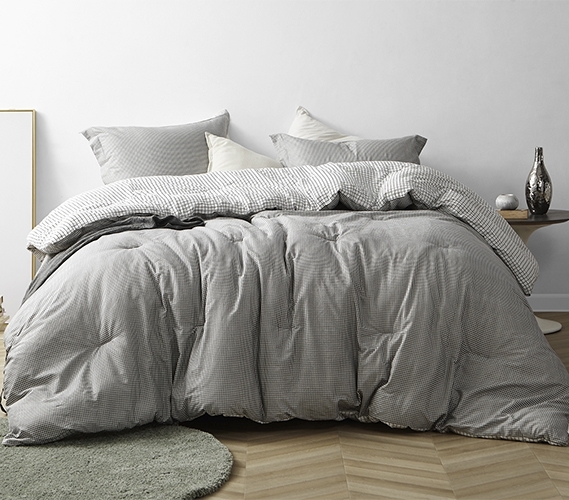 A gray dorm comforter will make matching your extra long Twin bedding with your college decor incredibly easy! And if your gray college comforter also happens to have a stylish pattern, that just makes it even better. You can add a unique Twin extra long comforter that has a great look when you choose our Gingham Gray - Twin XL Comforter - 100% Cotton Bedding. This gray Twin XL comforter features a classic gingham pattern that will have an impact on your dorm decor while still nicely blending in with your surroundings. Complete with a matching standard size sham, this dorm bedding set is a must have for your college essentials! And even though this one of a kind oversized Twin XL comforter has a decorative look, it doesn't mean that we went easy when it came down to the comfort of this dorm bedding essential. Made with 100% cotton on the outside for a soft to the touch feel and with a thick inner fill, this designer college comforter has more to it than just a great look! With the perfect dorm bedding materials to keep you warm and cozy and a unique style to make a statement on your Twin XL size bed, this gray extra long Twin comforter is a great addition to your college dorm room.